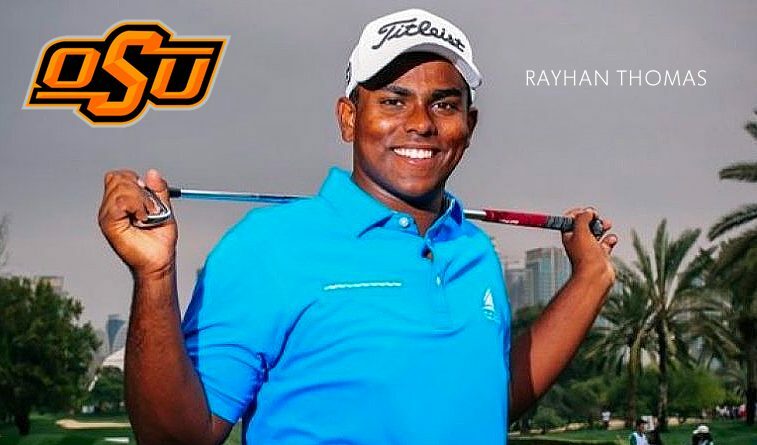 With the signing of Rayhan Thomas of India, Oklahoma State coach Alan Bratton filled out a foursome of signees ready to continue the tradition of excellence long established at OSU. 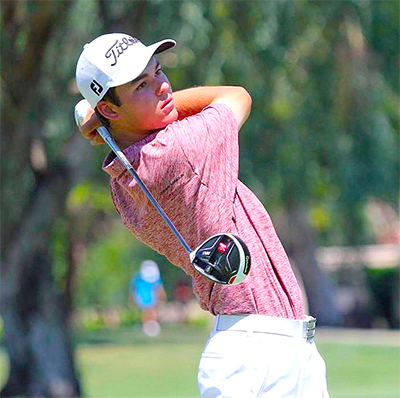 Thomas, who has been lauded by the likes of Rickie Fowler and Rory McIlroy, committed to OSU in February and has been tearing up the junior circuit and semi-professional events in the United Arab Emirates. Based in Dubai, he equaled a world record with nine consecutive birdies in one MENA Tour event and has impressed a bevy of European Tour professionals in playing numerous events on sponsor invitations. Thomas is ranked 21st in World Amateur Golf Rankings, the highest for an incoming freshman at OSU that Bratton can remember. Three of his new teammates are in the top 50, including Viktor Hovland at No. 3, Matthew Wolff at 5 and Austin Eckroat at 49. Thomas joins three players who signed last week, including Hazen Newman of Arbor High School in Las Vegas, Nev., Brian Stark of Central Valley Christian High School in Kingsburg, Calif., and Dillon Stewart of Fossil Ridge High School in Fort Collins, Colo.
Stewart stands just 5-foot-5, but can generate 114 mph of clubhead speed and drive the ball 320 yards while hitting precise irons. 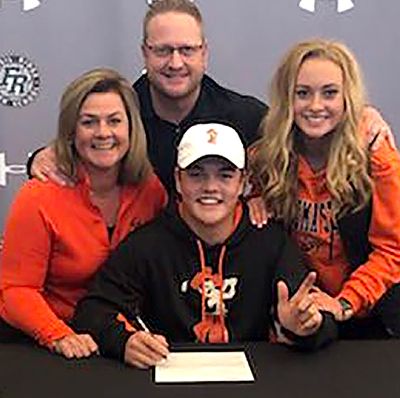 He grew up a huge fan of Rickie Fowler, dressing like him as a youngster and that helped him choose OSU over his home state favorite school Colorado. 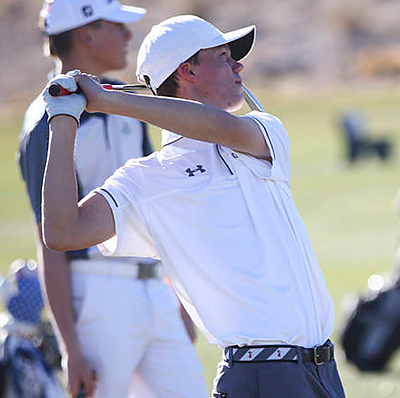 Stark, a standout on the California junior circuit, was wanted by just about every program in the Pac-12, but chose the Cowboys for reasons he explained to the Hanford Sentinel below. “On my weekend trip to Oklahoma State, I really felt at home,” Brian said. “Coach (Alan) Bratton and coach (Donnie) Darr are top D1 coaches and are great people. The golf team has two home courses within three miles of the school. Bratton said Stark, whose father Scott played collegiate football for Stanford and Pitt, is an excellent athlete with a well-rounded game, probably one of the top 10 players in his class. “He’s a good athlete, a very good ball striker and finished fourth at the Western Amateur” Bratton said. Former Cowboy Bob May, who took Tiger Woods to the wire in the 2000 PGA Championship and is now a golf instructor in Las Vegas, tipped Bratton off to the fourth recruit, Hazen Newman of Las Vegas. A lefty, Newman lost to Ashkay Bhatia on the final hole in the second round of the U.S. Junior and finished in the top 10 of the AJGA’s Ping Invitational at Karsten Creek.